LOA is SEEK’s industry-leading insights portal that allows hirers to explore the results of a comprehensive survey of job candidates. I worked closely with SEEK to create the visual identity, exploring a diverse range of options before landing on the final product. 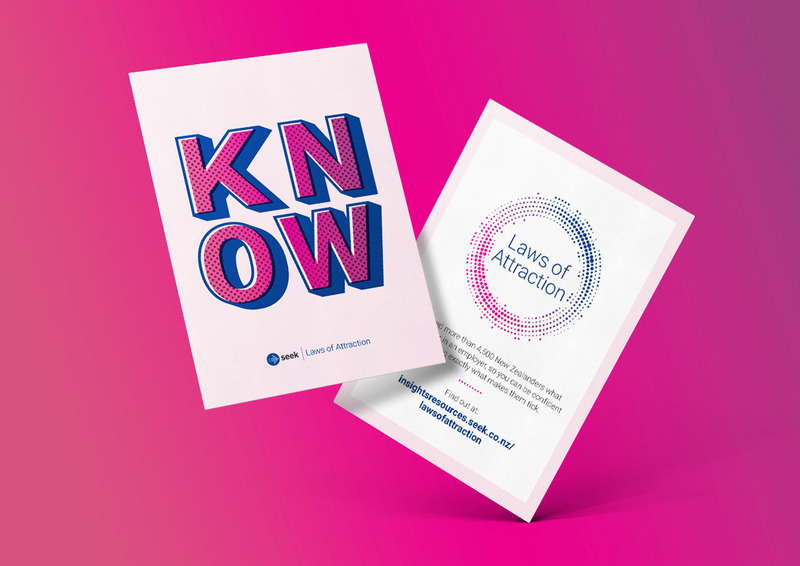 In addition to the visual identity and mobile-friendly online collateral, I was also tasked with creating a range of offline material to support the refresh of Laws of attraction, including event banners, internal and external DM pieces, event invites, merchandise and more. Completed while at Whippet Creative Agency.